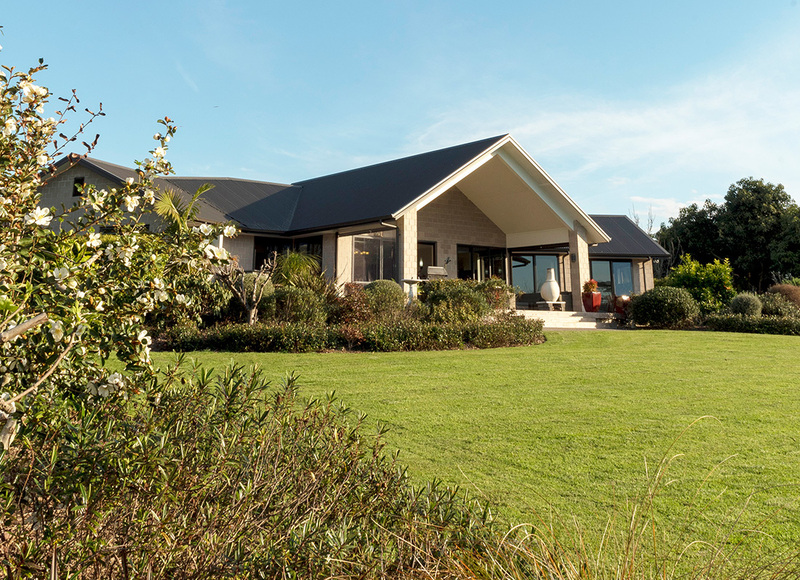 In 2010 Sue and Richard Wills bought a 1.9 hectare block in Tauriko, Bay of Plenty. It had two horse paddocks and a small avocado orchard. Previously they had bought and done up a series of old houses. This time their children were determined for them to have the best, so building a new house on the property was a family project, as Sue explains. “Our sons, Mark and Simon each had plenty of input. They wanted to see mum and dad in a brand new home for the first time ever and insisted that we put in the best of everything. Our daughter-in-law, Fiona, is an architect, so she had plenty of great ideas, plus took care of the plans,” she says. 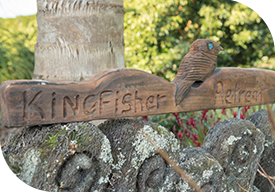 What they built, Kingfisher Avocado Lodge, is a four-bedroom home with luxurious bathrooms, a kitchen with high standard fittings, plenty of scope for indoor and outdoor entertaining, a separate two-bedroom accommodation unit able to operate as a bed and breakfast, and a large shed/workshop with space for an office, gym and art studio. After moving into the new dream home in mid 2011, they added to the orchard, more than doubling the number of trees to 227 specimens. Now matured almost to full production, the orchard is estimated to yield 50 bins of fruit this year, with potential to triple this yield in the coming years. 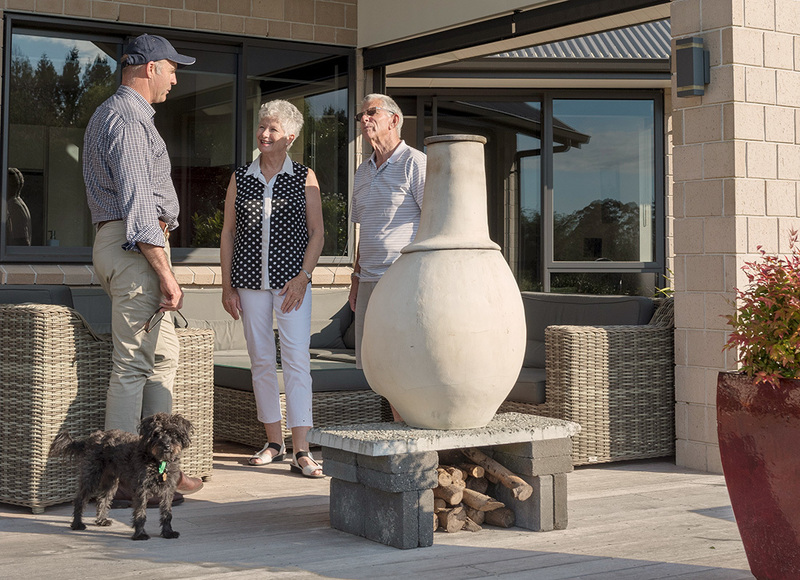 Although they have loved their time in Kingfisher Avocado Lodge, and will miss the orchard, earlier this year Sue and Richard decided to sell, wanting to move north, closer to their children and grandchildren. They called in Andrew Fowler of PGG Wrightson Real Estate, Tauranga. After a three-week marketing campaign, he found motivated buyers, who are excited to take over the property, and the sale went unconditional in September, to Sue and Richard’s great satisfaction. “We couldn’t sing Andrew’s praises highly enough. Although we considered various other property companies, when we met him, we knew we could trust Andrew as the right man for this job. We could tell he would give it everything, and he sure did, above and beyond anything we could have expected. “In 45 years of married life, we have sold seven different houses. Andrew is the hardest working, most trustworthy real estate salesperson you could hope to find. He always finds the upside in any situation and was able to see beyond any issues and challenges to bring a positive attitude to everything. “It was our time to move; we were serious sellers. Andrew gave it his all to help us make that move. Out of all the real estate people we have dealt with over the years, he is the best communicator. He is amazing and achieved an excellent result for us. He deserves the biggest pat on the back,” Sue says. As well as being closer to the family, they are looking forward to taking life easier with more time to travel overseas and in their motorhome within New Zealand.